There are scholarships in Wyoming that one can take advantage of in order to gain an education or training for free. With the costs of going to a college or a university constantly increasing each year, a financial award could be one of the most important things to acquire especially for the graduating high school student. Although the amount of awards may vary from one to another, the important thing is that you have other resources that you can turn to in order to help carry the burden of paying for college. If you think that going to college will just be another failed expectation for you, then you should start changing your opinions. There are a lot of chances that are being offered for prospective college students who have the skills, talents, and drive to make it through. It is not just your academic achievements that matter when it comes to scholarships. You must also be able to show your benefactors that you are willing to do your best in order to make yourself worth all the financing that they will provide. You must also exhibit good character and the desire to help others back once you are able to make it on your own. It can be pretty tough looking for a financial aid program where your qualifications will be considered the best ones. You will always have somebody else who will be applying for the same opportunity who also has the same traits and skills as you. So how can you make the possibility of winning one a little higher? Research. Do enough that you can almost feel certain that you fit the qualifications to the T. aside from that, apply to as many programs that are aimed at your interests and where you are qualified. The first place to start during your search for aid, grants, and award programs is by filing a FAFSA application through the U.S government at www.fafsa.ed.gov. Without a FAFSA form you will not be considered for many of the scholarships currently available. After completing the form you can start applying to a variety of programs based on your criteria. If you are looking for available scholarship opportunities in Wyoming, here are some that may be useful. The Hathaway Scholarships is one of the best that there is, as they cater to both merit and need-based students. You can apply if you wish to study at the University of Wyoming or at the Wyoming Community College. There is also the American Legion Wyoming E.A. Blackmore Memorial Scholarship which is provided for descendants of a member of the American Legion. You have to be one of the top 20% of your class also. You can have a financial aid of up to $1,000 if you qualify. Another option is the Curt E. Kaiser Jr. Scholarship which is available to 10 lucky students each year. 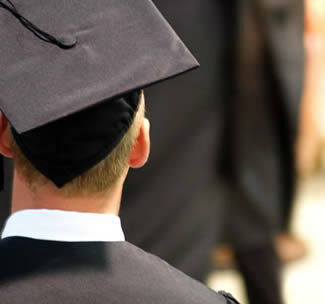 Western Wyoming Community College provides some awards for graduating high school students. The Superior Student in Education Scholarship is offered by the State of Wyoming and consists of $1000 awards for the next academic year. Harold F. Eppson Memorial is for students pursuing a degree in Molecular Biology. The Lauren P. Miller Scholarship is granted to selected students who are focused on becoming an apprentice with the US Department of Labor. The Mabel C. Sargent Program is geared specifically for those in nursing who plan to attend the University of Wyoming. If you have a Korean-American heritage, you can apply for the Korean American Scholarship Foundation – Western Region. You must be able to show active participation in school and community activities, a high academic grade, as well as financial need. There is also the Davis-Roberts Scholarship Fund, Inc. which is highly recommended if you intend to study a 2 or 4-year course. You will need a recommendation and a written essay when you apply. The Horatio Alger Wyoming Scholarship Program is probably one of the most lavish opportunities that you can find in the state. It rewards $5,000 to the winner and is applicable in any college or university in the US.